So, we are deep into the current awards season. The Golden Globes are over, and the Oscars are yet to happen. 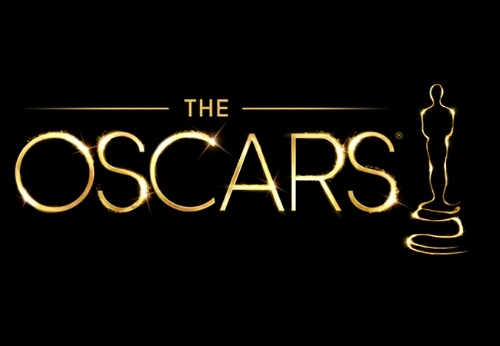 The 2016 Academy Awards will air on Sunday, February 28th on ABC. This year, much to my surprise, Chris Rock will be hosting the show, again. The surprise, for me, is due to his last appearance as host of the show in 2005. It was less than stellar and received mixed reviews from critics. He made Time Magazine’s Host Without the Most list. His jokes just seemed to land flat with the Hollywood elite as well as with the viewing audience. With this year’s Oscars, there is fresh controversy regarding the lack of diversity of Oscar nominees. For example, Will Smith was not nominated for Best Actor for the film Concussion, and the movie is also not included in the Best Picture category. As a result of the snub, Jada Smith, Spike Lee and others are calling for an Oscar boycott. Even with this muster to arms, some are not willing to jump on the bandwagon accusing the Smith’s of being part of the Hollywood diversity problem for actors. In particular, Janet Hubert, who played Aunt Viv on The Fresh Prince of Belair, still nursing a fued with Will Smith, has made no bones about her disgust with Jada over the call to boycott. On a bright note, the film, Straight Outta Compton, which achieved both critical and box office success, is nominated for an Oscar for best screenplay. For the film Creed, there has been no mention of its filmmaker, Ryan Coogler, who wrote and directed the film, but Sylvester Stallone is nominated in the Best Supporting Actor category for playing the Rocky Balboa character in the film. So what is really new here beside a potential boycott? The Oscars are infamously biased and elitist. What I have noted is that, in many cases, non-white actors have been primarily celebrated and awarded when they portray less than savory characters. For example, Denzel wins Best Actor for Training Day in 2001, but nothing for Malcolm X. Halle Berry won the Best Actress Oscar also in 2001 for Monster’s Ball after bearing all, and very graphically, with Billy Bob Thornton. Then there is Forest Whitaker and Mo’Nique who each won in 2006 and 2009 respectively, both portraying brutal and ugly characters on the big screen. Other award shows have also followed suit. At the close of 2015, Taraji P. Henson, the grand-daughter of Matthew Henson (famous black North Pole explorer), won a Golden Globe for portraying Cookie on Empire, a character that is an ex-con and a loud-mouthed former crack head. Uzo Aduba also won two Emmy awards in recent years for playing a mentally ill convict on Orange is the New Black. My point, lack of diversity in Hollywood impacts which non-white actors are cast in film and television roles, or the types of characters that are deemed credible for them to portray. This directly impacts who is then nominated and awarded these prestigious film and television awards. In truth, black actors are not cast in film and television, nor given the opportunity that so many white actors take for granted. Why are actors like Idris Elba, Chiwetel Ejiofor, David Oyelowo, Nate Parker, Gabrielle Union, Sanaa Lathan, Wendy Raquel Robinson, Nicole Ari Parker, Gugulethu Sophia Mbatha and so many more being overlooked in Hollywood? It appears that the old guard in Hollywood can only see black actors typecast through a limited, negative or degraded lens. I probably will not watch the Oscars this year, and not necessarily because of Jada’s call to action, but mostly because this celebration of film art has lost credibility with me, and many others, by demonstrating a narrow, subjective view of who is best at portraying our human stories. This entry was posted in Entertainment and tagged Academy Awards, Academy Awards Boycott, Diversity, Hollywood, Jada Smith, Janet Hubert, Spike Lee, The Oscars on January 19, 2016 by speakingthosethings.